Hey guys! Happy Wednesday. 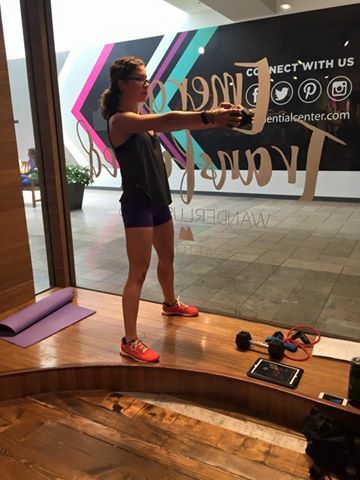 I feel like it’s been ages since I’ve done a Wednesday Workout post for you, right?! 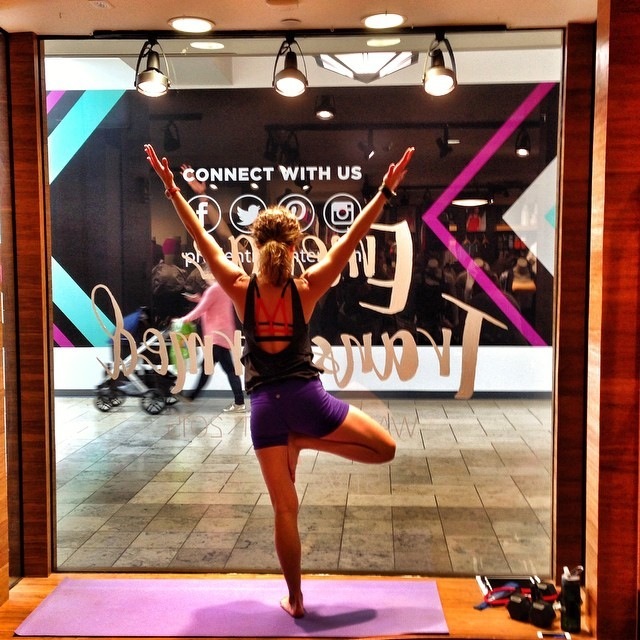 Today’s is fun because it’s a shortened version of the workout I did in the window at Lululemon over the weekend. 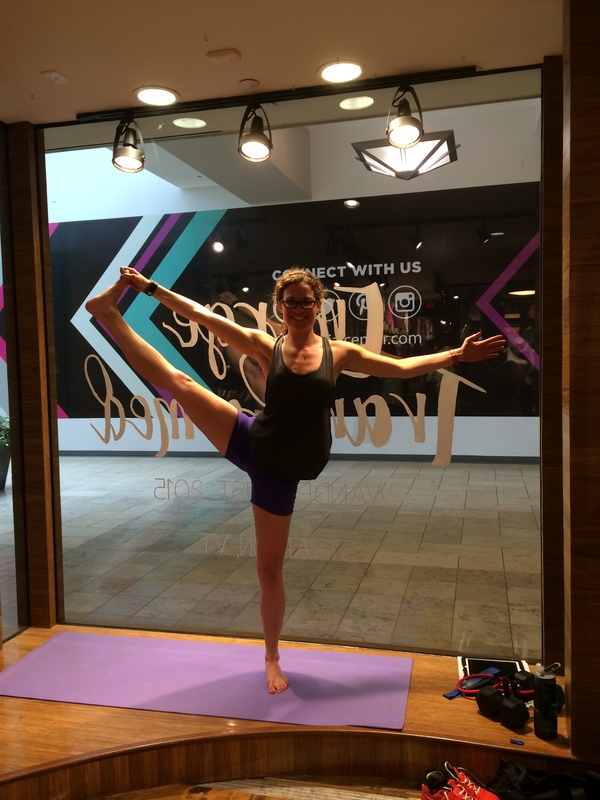 Although it was a little awkward doing my workout thang in the window of Lulu on a busy Saturday, the awkwardness went away fairly quickly and I got in my groove- in my happy place. When coming up with the workout, I knew I didn’t want to include cardio because I A. didn’t want to sweat too much and B. didn’t know how much space I’d have. I ended up sweating a lot because of the lights and exercises, but oh well. that’s just what happens when you work out! 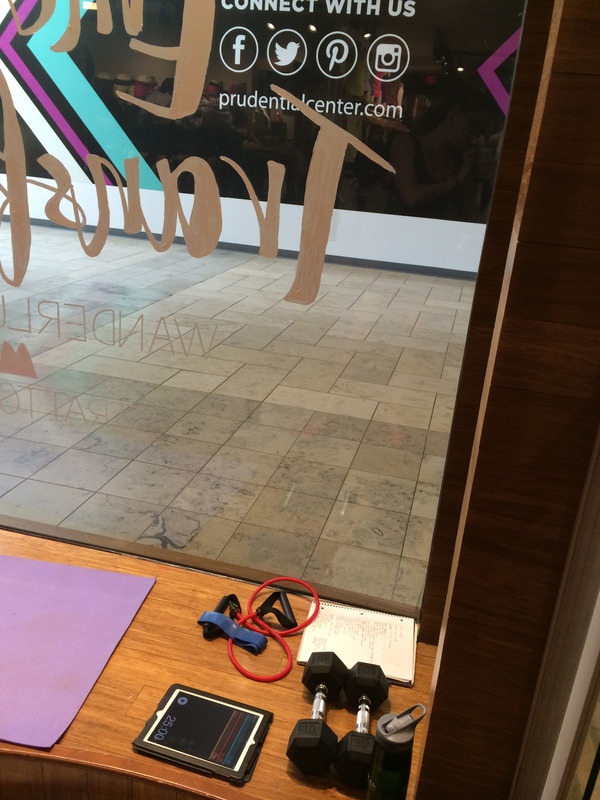 The workout for you today is 20 minutes of the workout I did while I was at Lulu. I was there for an hour and did about 50 minutes of a weight and resistance band focused workout (including warm up), then spent some time playing around with yoga poses. These are what got people to stop and watch me- it was funny! This is a great workout to do as a finisher after some cardio or to do on a day when you don’t feel like doing cardio. Everything is fairly straight forward/simple since I wanted to make sure I didn’t have to worry about my form or mastering anything complicated in front of a bunch of people! If you have other questions, feel free to shoot them my way! One of my favorite band exercises these days are leg lowers with the band around your feet. 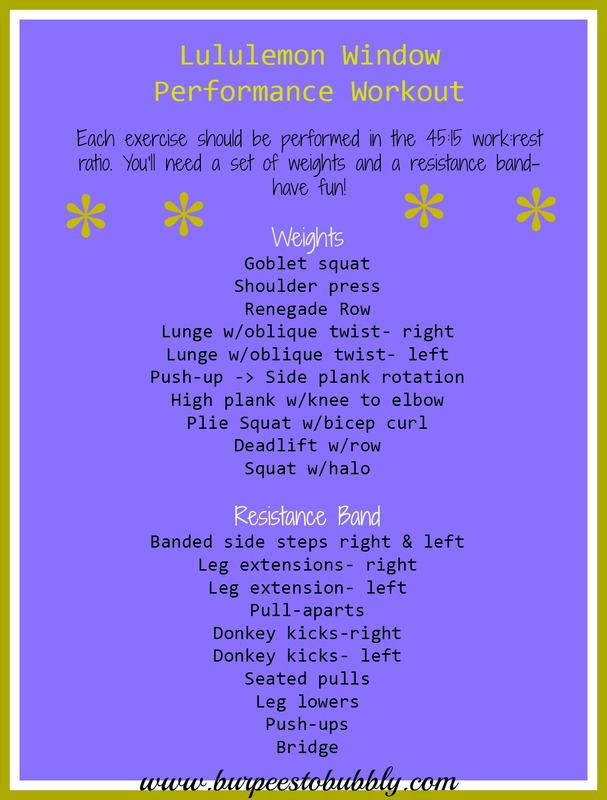 By keeping pressure on the band extension, it workouts your outer thighs and glutes AND your core. Bonus! Questions for you: What’s an exercise you’re loving these days? If you had to pick cardio or weights, what would you choose? Do you shop at Lulu? I’m sure you’ll get back to dancing at some point- injuries and surgeries just take time!